Muskegon River Guide.com: Muskegon River Steelhead!!!!!!!! 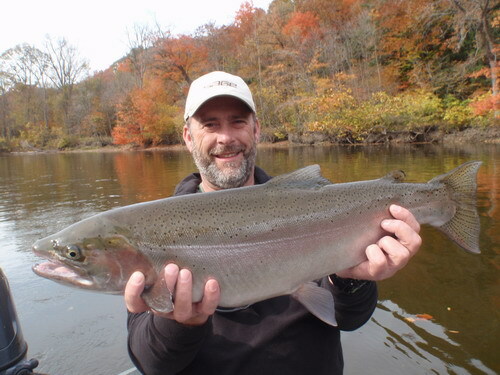 There is a fair and growing number of Steelhead present in the Muskegon River system right now, if things keep up I will be targeting Steelhead every day from here on out. 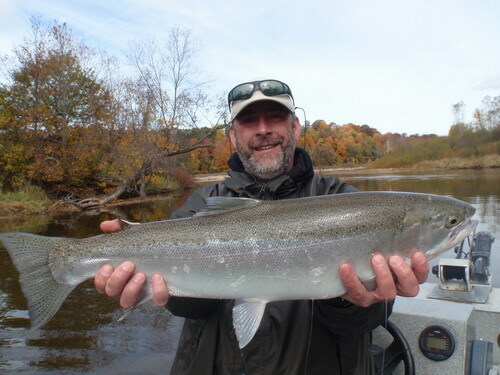 Aaron and Andy from England had a day to dream about for mid October on the Muskegon River. 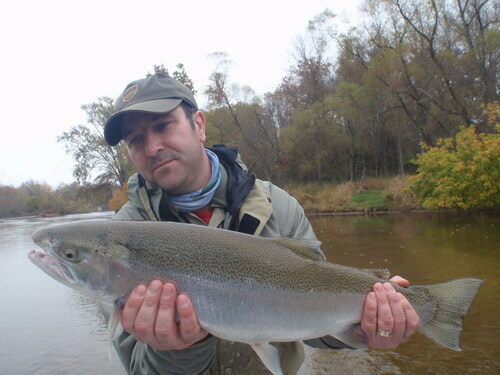 Andy with a nice Muskegon River Fall Steelhead. 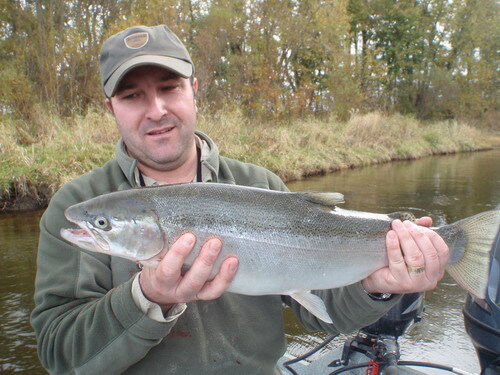 Andy with a heavy buck Steelhead.